It was the summer of 2001. I had just arrived to make Squamish my stomping ground, 100% inspired by the magical combination of mountain, ocean and world class climbing. It had a small town feel and, though a climber, I felt somewhat an outsider. Some locals stared at me as I walked down the main street of Cleveland. My climbing attire didn’t quite fit into the local style of lumberjack, plaid and jeans. 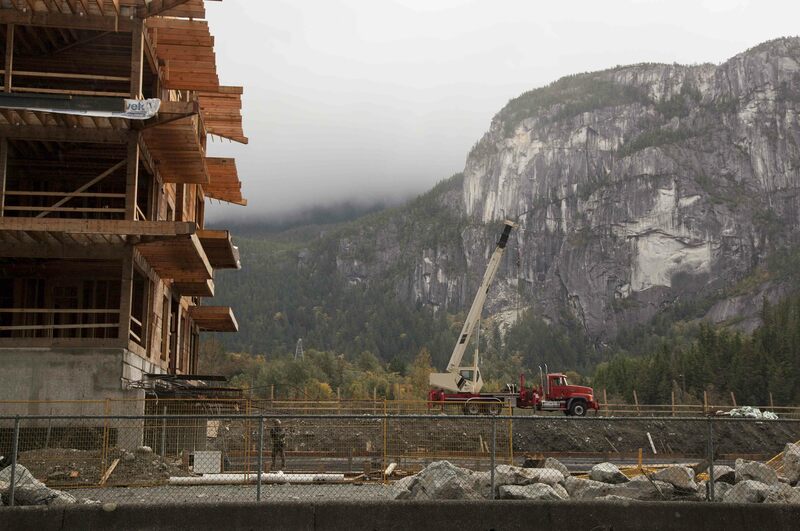 Squamish has since undergone numerous changes regarding its culture and environment. I had imagined capturing these changes on film before they were gone forever but this thought remained just an idea. As time passed, so did the Squamish that i knew in 2001. It was changing and shifting as each passing year was influenced by the closing of the Mill, increases in tourism, and the migration of city folks enticed by its lifestyle offerings and at the time, affordable housing. It seemed too late to act on this creative endeavor. 15 years later, I stood on the top of the upper malamute looking down upon the town, contemplating the beauty and majesty of Squamish and the many projects which threaten it. From the Woodfiber LNG terminal to the Oceanfront Development, the very environment on which we thrive is continuously put at risk by projects our government and developers have in mind. The sad realization came to me that it wasn’t too late. In fact, if developments proceed as planned, in just five years, the Squamish we have come to know and love, will be vastly different. I couldn’t have said it better myself. The anticipated development and projects are driven by one all-encompassing force, that of human greed for energy and money. 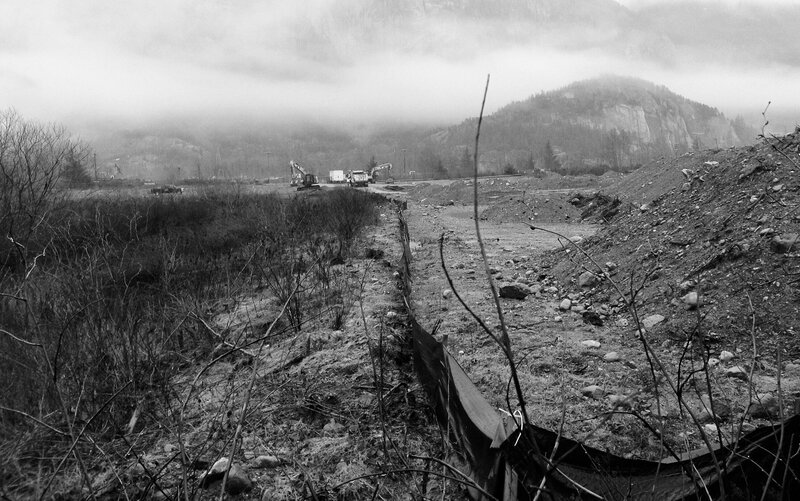 This project, “Squamish then, Squamish now” is a living document. ‘Then’ is yesterday, however many yesterdays that has been. ‘Now’ is now, as in the moment you are reading this. Its purpose is to document the lived experiences of Squamish; dealing with the tensions, politics, and realities that we face. Through visual and written media, this platform will serve to unite the many voices; from the outdoor enthusiasts, environmentalist, and tourists who simply enjoy Squamish in all its glory; to the unique collection of people who call Squamish home. So take a bite of what follows and explore what transforms. Through storytelling and focusing on what we love and appreciate about our community and environment, the end goal is to cultivate a deep inner appreciation for what makes Squamish and Howe Sound special. By cultivating a deeper connection with the people and land around us, the sense of belonging is felt as real, and we naturally change our ways, thus striving to protect our place in the world. Squamish and Howe sound, in all your glory: trees, ocean, wind and all, this work will be for you. I thank ahead of time, the many featured who are brave enough to share not only their stories and love, but also their heartfelt feelings about the direction Squamish is heading. You are all warriors. Please help fuel the fire.